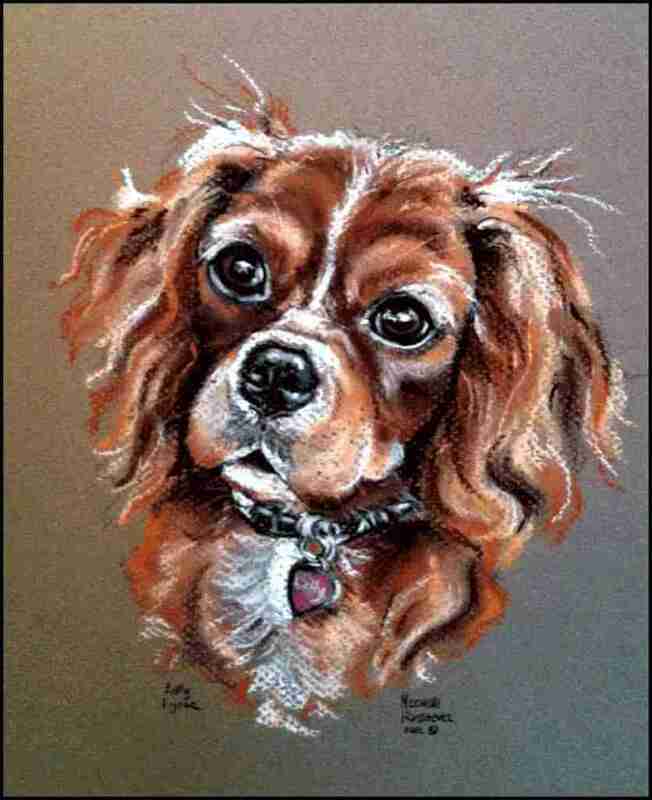 In this episode of the Little Pampered Dog Podcast we interview artist, Mechelle Roskiewicz of Loved Dogs Art. 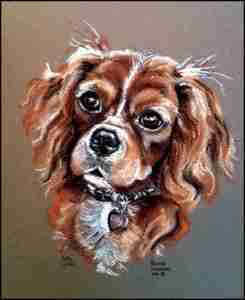 You’ll learn how Lilly, her Cavalier King Charles Spaniel has inspired her to return to her first love – fine art. Of course, now Lilly has a little sister, Ella! Together Lilly and Ella are Mechelle’s muses. It’s a lovely interview with a world-renowned artist. Make sure to check out Mechelle’s website. We did a full article on Mechelle in Issue 9 of Little Pampered Dog which I know you’ll love reading! Meet the two Corgis who rescue dogs. We have some before and after pictures in the article that will amaze you, plus a “magazine only” podcast episode. An interview with a woman who serves dogs, their owners and commercial businesses in a way that you can’t even imagine! It’s a dirty job and this company is willing to do it. A “magazine only” podcast episode is included here too. Learn all about a Texas inspired boutique hotel the Lone Star Court that you can enjoy with your dog along with information about dog-friendly Austin Texas. This one also includes a “magazine only” podcast episode! There’s a new small-batch dog food on the market. We asked the manufacturer every question we could think of. 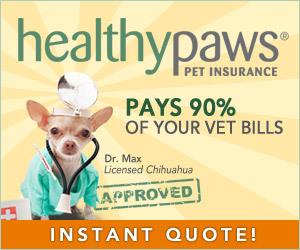 Could this dog food be right for your dog? Plus as they say…so much more. 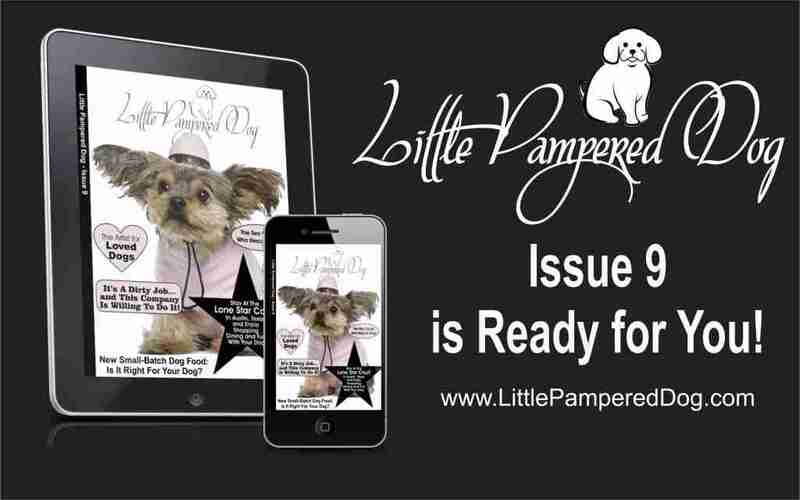 To access the magazine simply to to http://www.littlepampereddog.com/apple. You’ll download a free app for your Apple devices and then you can purchase Issue 9 – even better yet, become a subscriber and part of the Little Pampered Dog family! To access Issue 9 simply click on the cover below to be taken to the free app on iTunes. Note that Issue #9 is NOT FREE but if you want to give us a try first before purchasing, simply download Issue #2 – which is a FREE issue.